Miami’s El Nuevo Herald reported Thursday that multiple Cuban doctors forced to work for no salaries are planning a lawsuit in the United States against the Pan-American Health Organization (PAHO) for allegedly pocketing up to $74 million in what should have been doctors’ wages. The doctors, at least four of them, are among the thousands forced into Brazil’s “Mais Médicos” (“More Doctors”) program, in which the socialist government of former impeached President Dilma Rousseff paid millions to the communist Castro regime in exchange for shipping upwards of 15,000 doctors to work in some of the poorest and most remote corners of Brazil. The program, established in 2012, ended this month after conservative President-elect Jair Bolsonaro ordered Cuba to pay its doctors a fair salary or take them home. Havana responded by immediately ordering the doctors to return home, though many have decided not to do so. Bolsonaro has promised any doctor who wishes to stay in Brazil political asylum from the regime. The Herald published remarks on Thursday by American attorney Sam Dubbin, who represents four of the doctors who have opted to stay in Brazil. Dubbin contends that PAHO, which acted as an intermediary in the establishment of Mais Médicos to prevent Brazil from suffering retribution from the United States for violating sanctions on Cuba, took home a significant cut of his clients’ salaries. PAHO’s headquarters are in Washington. The attorney suggests that PAHO made $75 million in the past five years that came out of the salaries of the doctors, out of $1.5 billion the nation of Brazil paid for the doctors in total. Cuba is believed to have profited from most of the rest of the sum, while the doctors received a meager living “stipend.” The doctors, according to the Herald, received less than ten percent of what Brazil was paying PAHO and Cuba in what it believed to be salaries. The revelation follows the publication of a report last week in the Spanish newspaper Diario de Cuba citing Brazilian diplomatic documents that found Brasilia and Havana agreed to bring the inter-American health agency on board because of concerns that the United States would retaliate against Brazil for violating the embargo, though several key American allies, like Canada, regularly do so. Bringing PAHO in would also help avoid the constitutional requirement of having the Brazilian Congress approve the deal, stripping the legislature of its mandated agency over the issue. Those documents also revealed that Cuban officials mislead Brazilian authorities to believe the doctors were working as full-time, salaried medical staff – exposing the Cuban regime’s claim that the doctors were on a “scholarship” or “fellowship” program to Brazil as a lie. The documents explicitly refer to the “price paid for each Cuban doctor” as a salary. The doctors say they were not paid at all outside of their food and shelter stipend. 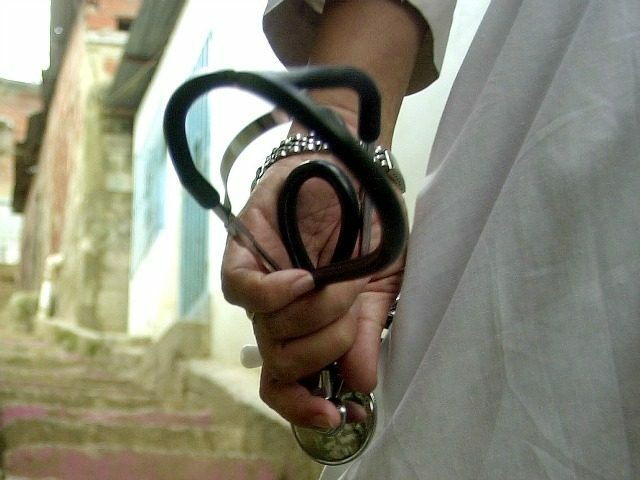 Cuba also banned relatives of the doctors from visiting them, severely limited their travel, and has banned any defecting Cuban doctors from visiting their country or their families for eight years. The lawsuit reportedly planned in the United States is not the first of its kind. In 2017, a class action suit filed by over 150 Cuban doctors in Brazil made similar demands of the Brazilian government, by then in the hands of current President Michel Temer after Congress recalled Rousseff. The doctors demanded the courts rule that they receive the same salaries as Brazilian doctors for the same work and access to their families, which the communist regime denied. The Temer government responded by blocking the doctors in the suit from practicing medicine, depriving them of even their small stipends. Bolsonaro has promised a different approach. This month, he announced that, following his inauguration in January, the Cuban regime would have to pay the doctors their full salaries, allow family visits, and allow the Brazilian government to screen incoming doctors to ensure they conform with the same quality care requirements that Brazilian doctors must abide by. The Castro regime responded with outrage and immediately began attempting to bring its doctors home, though many have opted to stay. Between the number of Cuban doctors staying and a nationwide program to replace those returning with native Brazilian doctors, it took Brazil less than a week to fill over 97 percent of the empty positions, raising questions on how necessary the Mais Médicos program ever was.